This week’s theme at Gracious Hospital-i-tea (click the image above to meet our hostess and learn more) is to share tea from a perspective of literature or to share a favorite tea book! If I didn’t write a blog about the tea party, I would probably write about books. I read, A LOT. More than I clean my home, go to the movies, or even (sometimes) interact with family and friends. Tea and books naturally go together; I think because both quietly slow us down and help us make friends with ourselves, an invaluable life skill. 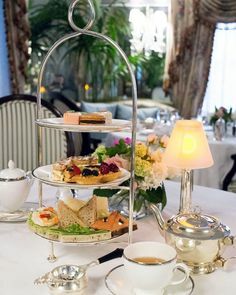 Since starting Tea Party Girl last June, I’ve shared many of my favorite “Tea Reads“, including treasured fictional tea scenes. My all-time favorite is from The Hobbit, when Bilbo ends up hosting a secret meeting with the dwarfs right at teatime. Be sure to click on the title to read the entire post. 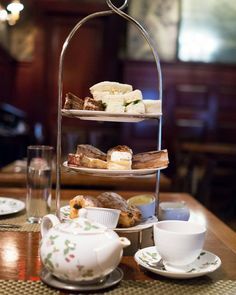 And then there’s my favorite movie, Miss Potter, ABOUT a literature writer who because of her time in history and place in society observed afternoon tea often. 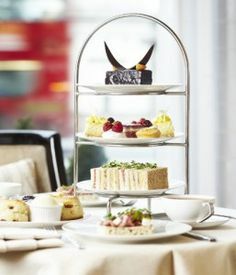 The movie scenes are full of beautiful, Victorian afternoon tea settings. 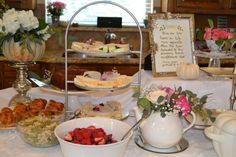 Choosing a favorite tea-centric book proves much more challenging, so I trust no one will accuse me of cheating if I list my top seven tea-related book posts from Tea Party Girl’s history. In order to reach the post where I discuss the book, click on the book’s title. I’m looking forward to participating in as many weeks of the Tea Blog-a-Thon as possible. I trust you all had a beautiful Easter weekend. I celebrated with family in worship, feast, and play. It reached over 70 degrees here in Northern California and the sun shone brilliantly! I’m so thankful spring always comes! If you end up participating in the tea blog-a-thon at your blog, would you tell us in our comments here? I would love to visit your Litera-tea entry, too. What’s your favorite tea-related book? Thank you for an interesting post. I love your tea reading selections. . .and am happy that you reviewed several books that I do not have in my collection. I will look for them. . .as tea books are so enjoyable and much fun to read! I’m glad you joined in the Gracious Hospital-i-Tea blog-a-thon and look forward to getting to know you better. Hello! I just discovered the movie “Miss Potter” a couple of weeks ago and loved it! 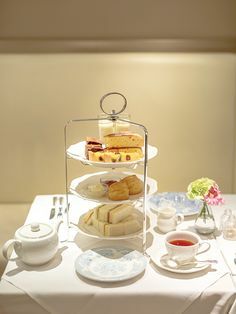 I have a blog called “The Tea Room” and embedded into it one of the compilations set the song “When They Taught You How to Dance.” I also downloaded the soundtrack onto my iPod and purchased both the DVD and set of 23 books. I agree with your adjective: delightful! I’ll be back to visit your blog and invite you to visit mine, too! What a wonderful informative post. I love the Hobbit and Beatrix Potter is a favorite of mine too! You are so right about tea and a book! Wow, I had no idea there were so many books about tea and tea parties! Thank you for sharing these with your readers; I must hop on to Amazon.com and see how many of them are still available! Tea books are among my favorites. I listed most of mine in a January post as linked in my Litera-tea post today. I saw some titles that I must investigate. Glad to know about your blog. Oh, I’m particularly interested in Alexandra Stoddard’s book…thank you for this great list of books! Oh man so many titles I have not read. Thank you for listing them. I adore the Hobbit and Beatrix Potter. Hi, this is my first visit to your blog. I came by way of Gracious Hospitality and I too am participating in her blog-a-thon. Lovely post, so many titles I have not seen before. I too love Miss Potter! Since I’m just starting to collect books about tea, I was glad to see your list of books. Thank you for listing all of them. Oh! I haven’t seen Miss Potter. I’ll have to add that to my “to-be-watched” list. Sounds fun! Lots of good books on your list. There are two I’ll be purchasing soon. What a great list of books! Thank you for sharing. I jumped on the blogathon today. What a nice collection! You have me very interested in the Hobbit book now! I haven’t seen the Miss Potter movie either, but will soon hopefully! I’ve read many of the books on your list–great selection! What interests me most is the movie–Miss Potter. I’ve never heard of it. I’ll have to see if I can rent it. 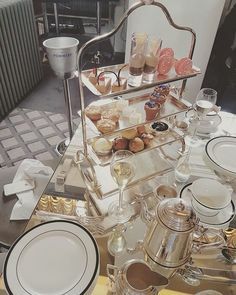 I love Victorian afternoon tea settings!